This spring, Leipzig Gewandhaus Orchestra, known as the “European Cultural Heritage” will come back to China after 5 years. On the 4th of June, 2019, the Leipzig Gewandhaus Orchestra will reproduce the 227-year-old “Voice of Leipzig” through the Shostakovich’s “Violin Concerto No. 1 in A minor” and Tchaikovsky’s “Symphony No. 5 in E minor”. 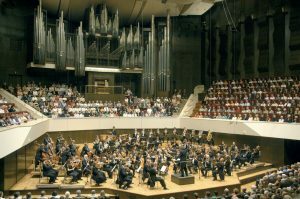 Compared to the Berlin Philharmonic Orchestra and Vienna Philharmonic Orchestra, Leipzig Gewandhaus Orchestra is like the hidden menu in a top restaurant. People who know about classical music will treasure this opportunity. Although the name is rather low-key, it doesn’t cover its status as one of the best symphony orchestras in the world. 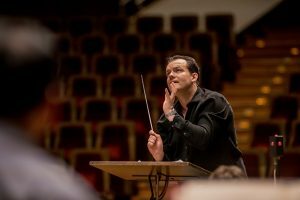 Andris Nelsons will join the Leipzig Gewandhaus Orchestra again in Shanghai this year. Nelsons was born in 1978 in Riga, capital of Latvia, to a family of musicians. He was taught by the master, Mariss Ivars Georgs Jansons, and he was praised by the foreign industry and media as the “new generation of leaders of conducting”.